One final way that Cathie shares her love of yoga and the subtle realms is through her line of yoga jewelry, Jewel In Lotus. 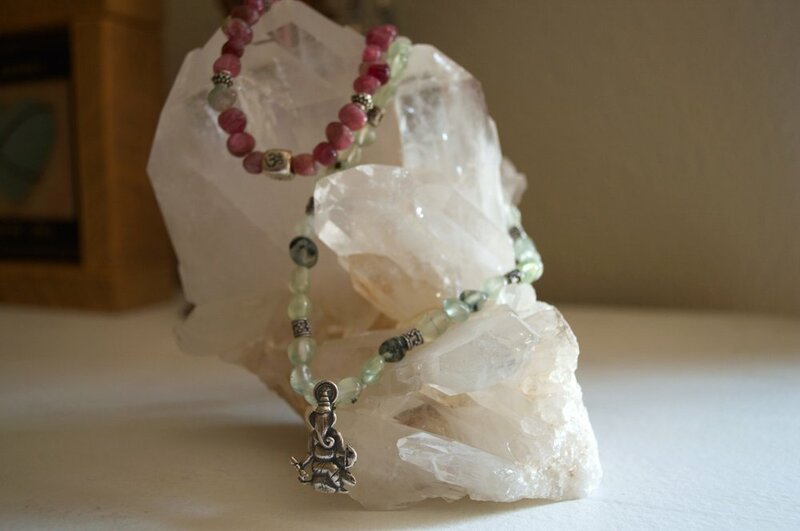 These beaded necklaces with Hindu Deity pendants are meant to honor the Spirit of the yoga tradition and uplift and inspire the wearer. Most pieces are one of a kind. Please contact for prices and current inventory.